The mission of the Nederland Area Historical Society is to collect, preserve and exhibit documents, artifacts and other records of Nederland area history for the education and enjoyment of the public. The NAHS maintains 2 museums where donated and bequeathed historical records, mining equipment and memorabilia from the area are archived and displayed. 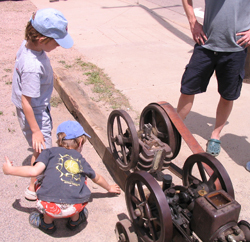 Other means by which the NAHS fulfills its mission is to periodically hold events, and sponsor activities with the goal of educating and celebrating Nederland's mining history. shovel will operate on a schedule and during special events. Check back for the schedule. organizations such as The Snoring Mouthpiece Review. See their Good Morning Snore Solution review and be sure to support them.